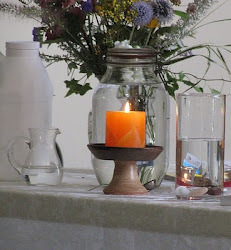 UU A Way Of Life: Morning Meditation - Where's the grace? Morning Meditation - Where's the grace? "We have all probably had at least one time in life when we came to that depth of despair, when we pondered the deepest question that I believe all religion must address: Am I willing to live?" Rebecca Ann Parker, Blessing The World, p.109. I like Rebecca Ann Parker. She is a Unitarian Universalist theologian and has been President of Starr King School of Ministry and one time tried to kill herself which she openly describes in her writing. My ex-wife was involuntarily psychiatrically hospitalized four times after our two children were killed for suicidal ideas and behavior. The thought has crossed my mind from time to time. What religion can help with this kind of despair? As a Catholic, I was taught suicide was murder and I would go to hell. My ex-wife wanted to kill herself to be with her dead children and I told her if she killed herself she would go to hell and the children were in heaven so this plan wouldn't work. When I called the priest to consult with us and she asked him if she would go to hell if she killed herself he said "no" and undid all my work, but she seemed better after that and I understand, in his compassion why he said what he said to her pastorally, but his theology was heretical. It is ironic how the manifestation of God's grace and love is often heretical. Jesus did it when he told the old farts that they couldn't stone the adulterous woman even though the law prescribed it. Perhaps the antidote for despair is paradox, the awareness of the absurdities and incongruities and the ironies of life. 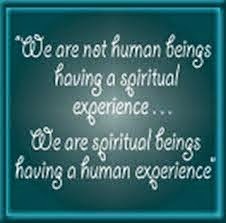 This awareness makes us laugh or deepens our reverence and our gratitude for the grace which seems divine. "Amazing grace how sweet the sound that saved a poor wretch like me. I once was lost and now I am found, was blind but now I see." Does Unitarian Universalism believe in grace? I have never heard a sermon preached in a UU church on this topic. Maybe that's why the denomination is dying, killing itself slowly, sinking into insidious despair with no antidote. There are actually a variety of reasons why The Uncommonly Tiny denomination is dying, indeed "killing itself slowly" as you put it, but I am not sure that a lack of belief in grace is a major contributing factor. One glaringly obvious reason that U*Uism is dying, besides repelling too many newcomers in various ways, is an apparent dearth of belief in its own claimed principles, ideals, and other U*U religious rhetoric. Suicide is a very serious issue and one would hope that Unitarian*Universalists would do everything in their power to encourage people not kill themselves except in those cases, such as a very painful terminal illness for example, where ending one's days prematurely in a controlled manner is highly justifiable. You can be quite thankful that your ex-wife never availed herself of the services of Unitarian*Universalism's very own* "Reverend Death" Rev. George Exoo who might have been only too happy to help her to be reunited with her dead children for a few thousand dollars. . . Rev. George Exoo is famous for encouraging and assisting the suicides of people who are not suffering from any terminal illness. Apparently being severely depressed is good enough for Reverend Death to unceremoniously send you on your way to the Great Beyond. * It does seem that Rev. George Exoo is no longer a fellowshipped U*U minister. Apparently he quietly "resigned" some indeterminate time ago but he was still serving as the minister of a U*U "church" in the early to mid 2000's and he still considers himself to be a Unitarian*Universalist if I am not mistaken.